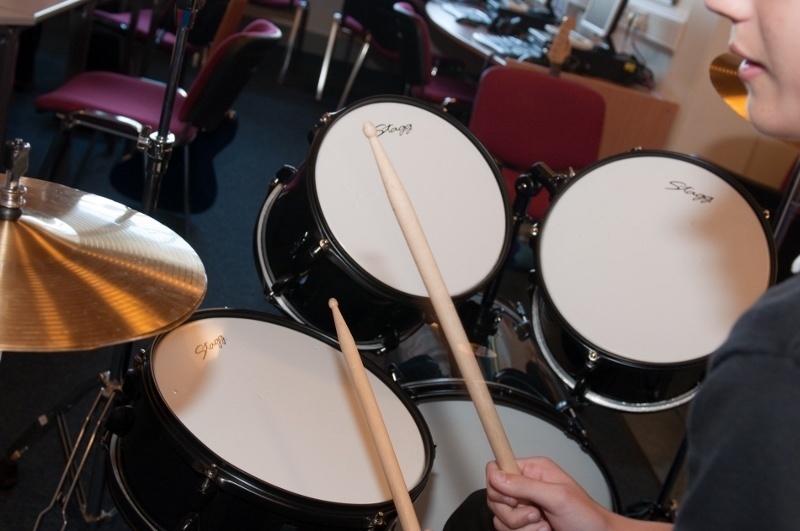 Our Music department in Pontypridd High School strives to create an exciting and inclusive environment where all learners can be creative, successful and proud of what they achieve throughout their time in school. We aim to provide learners with the opportunities to expressive their creative and musical abilities in and outside of the classroom and use this confidence to achieve their full potential. We have a highly skilled team of visiting instrumental teachers who provide a range of peripatetic tuition including piano, violin, brass, cello, double bass, electric and classical guitar, bass guitar and drum kit. Our extra-curricular programme allows pupils to extend and consolidate their musical and creative skills in a fun and positive environment with their peers. That activities that we currently offer are junior choir, senior choir, boys choir, brass ensemble, music studio club (for singer/songwriters and budding music technologists) and school production club. Pontypridd High School learners are then able to showcase their talents in our annual Carol Concert and Whole School Musical. Recent school musicals have included Little Shop of Horrors, Grease and Back to the 80s. The music curriculum in year 7, 8 and 9 aims to excite and challenge our learners to develop musical skills individually, in small group and whole class contexts. We also provide learners with video tutorials and various electronic resources to allow them to practice and consolidate their skills outside of the classroom. 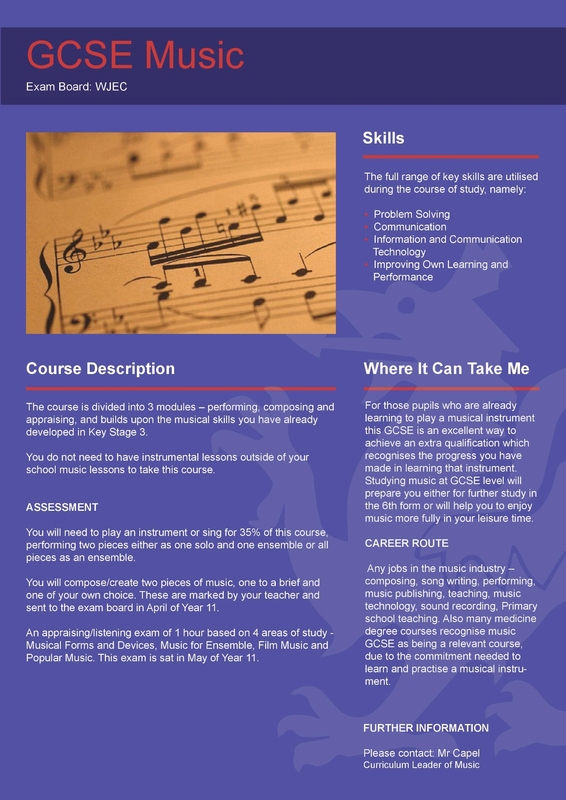 There is a strong emphasis on practical music making at Pontypridd High School, and we strive to deliver the music curriculum in an interactive way where learners access a variety of musical styles through a broad range of musical instruments. The pupils also get the opportunity to use music technology to enhance their work during the Key Stage.